Akito Okada is Associate Professor in the Institute of Global Studies, Tokyo University of Foreign Studies. He is the author of “Secondary Education Reform and the Concept of Equality of Opportunity in Japan” in Compare (2009); “Japan as a Prototype of the ‘Degreeocracy’ Society?” in Educational Review (2001); and “Education of whom, for whom, by whom? 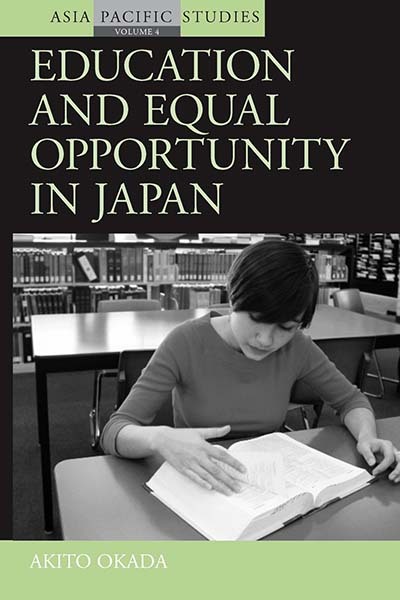 Revision of the Fundamental Law of Education in Japan” in Japan Forum (2002). His main research interest is Japanese educational reform in comparative context.